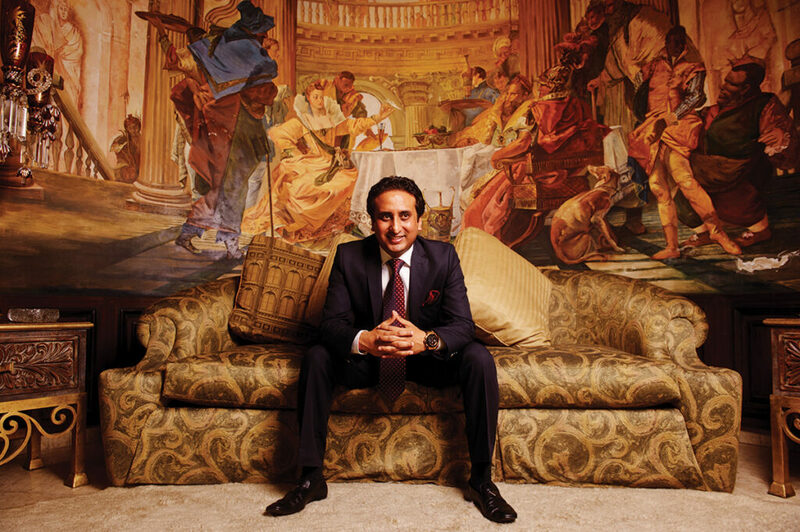 ‘I want to be the best and the biggest,’ states Rahul Chaudhary, a man on a mission to transform hospitality across continents, redefining luxury and putting Nepal on the global map for hospitality. Rahul is one of the three sons of billionaire and entrepreneur extraordinaire Binod Chaudhary. He is the Managing Director of CG Corp Global and heads CG Hospitality. Under his leadership, CG Hospitality has created a portfolio from a mere three to 127 hotels, resorts and spas across the globe. Today CG Hospitality owns some of the most iconic assets globally with brands such as Taj, Vivanta, Jetwing, Radisson, Ekho and its own brands The Farm, The Fern, Summit and Zinc. The hardest thing about realising a dream is getting there. It often takes monumental tenacity to own the dream, bringing ideas to life and keep defining your journey keeping purpose and passion alive. Rahul Chaudhary has done just that. Rahul is no accidental entrepreneur; the legacy he carries is hardwired into his system. He emulates the values instilled in him by his father; to work hard, to build relationships, to be the best, and above all to engage with humility across all spheres of life. The story of CG Hospitality starts with his father, Binod Chaudhary, who wanted to expand the business in the hospitality vertical. He partnered with the Tata Group 20 years back through their hospitality arm IHCL which owns the Taj brand and this partnership has evolved and grown over the years. “From three to ten Taj properties across the globe, we are proud to perhaps be their largest partners today,” shares Rahul. Considering legacy as both strength and weakness, he says it depends on how the person takes it. “From the strength perspective, if you have a platform, it’s much easier to grow a platform that is working. But you also have legacies where you have a platform that is not working. Then it becomes a big weakness and a burden,” he explains. CG started with one plant of WaiWai and today it produces almost three billion packets in a year, 3% of total global production. Similarly, they started with three hotels back in 2001 and now own and/or operate over 127 across the globe and growing. They are adding almost 20 hotels to their portfolio annually. It’s a phenomenal growth story, but Rahul shares that none of these achievements would have been possible without simplicity and humility; lessons he learnt from his father. They key is to never let success get to your head, he explains. “My father always says his biggest strength isn’t his fortune but his network and relationships globally. Being a billionaire doesn’t mean you always lead the high life. Sometimes less is more. The sheer fact that he never forgets where he came from keeps him grounded,” he says. Rahul was deeply passionate about sports during high school. He had several accolades and records to his name. He recalls, “My father always told me if you want to pursue sports as a career then please go ahead but whatever you do, you have to be the best at it.” This had a huge impact on him. When he decided to join the family business, he didn’t opt for the hospitality sector, it came to him. 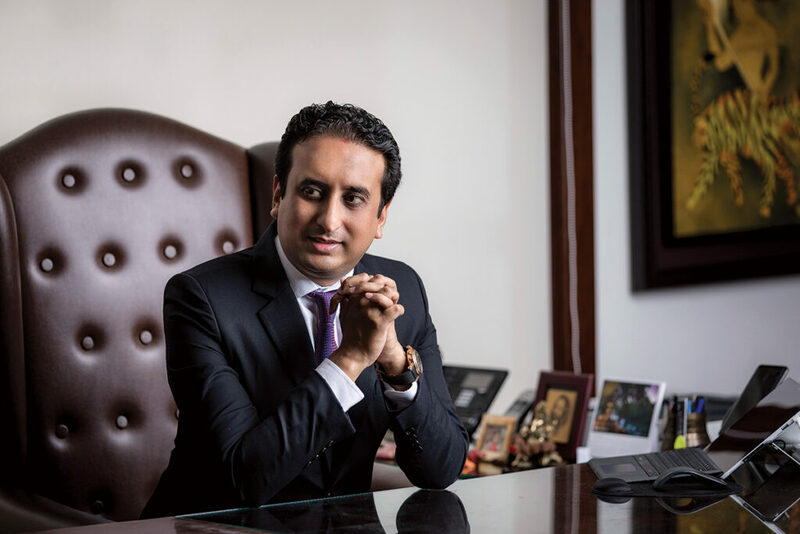 “The year was 2006 when I decided to come back and I witnessed the hospitality vertical within our Group was growing with international partners like Taj. My father wanted me to give it a shot and I have never looked back. Today, I absolutely love what I do,” he states. It’s just been 4-5 years that the hospitality vertical of CG is known in Nepal but it is bound for exponential growth. Currently, there are three hotels functioning under the CG Hospitality portfolio in the country: Summit and Vivanta in Kathmandu, and Meghauli Serai – A Taj Safaris in Chitwan. They have another business hotel under their brand Fern Residency opening in Bharatpur this quarter. He aims to add 5-7 properties within the next 2-3 years. “We want to cover the whole of Nepal tourism landscape with key properties in key areas. One that I am excited about is building a high-end lodge in Shey Phoksundo which is a part of an initiate through CG Foundation whereby we are working with 4-5 local hotelier entrepreneurs to boost and promote the most sought after trekking route along the Dolpo region. Living in Nepal and having a footprint across the globe is a task in itself; but a clear vision, effective team and strong systems makes it all possible. He is further proud to spread a Nepali connect across the globe through his hotels. “Nepalese are known to be hospitable and service oriented people and we are proud to own a Nepali company. There are Nepalese people working at almost all our hotels globally and they feel proud with the fact that it is owned by a Nepali,” he smiles. Rahul says that every failure has been an opportunity to learn and discover his strengths. In the initial days, he was adamant about staying in the United States and to support his decision, he was to acquire a property in New York. He recalls his first ever deal and how anything and everything went wrong with it. “This was 2005, I was a fresher.” What took him a year then is something he can iron out in a month today. Similarly, he says he has also made mistakes in some investment deals by choosing the wrong partners such as their investment in Rwanda, Africa. But he has evolved from these. In 13 years of his journey in the hospitality sector, he now can perform multiple roles from project manager to lawyer to business development executive and more; championing what it takes to become a complete hotelier. In the near future, over 4500 additional rooms will take shape in the country but what worries Rahul is not the competition but the supply. “We all are living with the notion that the public sector will work closely with the private sector to bring in the change but I am not sure when that day will finally arrive,” he explains. Talking about Visit Nepal 2020, he believes these plans are made with good intentions but they are not carried out thoughtfully. “Just promoting tourism doesn’t work; the government has to work cohesively to build the dismal. Infrastructure across our country. The roads, the international airport needs to meet standards. The government has to focus on strengthening their strategic policies,” he says. Citing the example of Bhutan, he feels that the government should rather focus on limited tourists but bring in quality ones. With Meghauli Serai, CG Hospitality has ventured into a very high end and niche market and bringing in the luxury traffic into Nepal. “We are focusing on quality traffic,” he asserts. He deliberates that Visit Nepal 2020 should connect several dots to provide a complete picture of the tourism potential in Nepal. “The increasing use of online travel agents, price comparison sites and apps has given traditional hotels some serious thinking to do. And it is only going to get more varied and tougher” states Rahul. However, he knows that being strategically prepared works to their strength. He highlights the technology interface as the future of hospitality from seamless check-ins to hassle free room service and paperless payments to assist in creating a great travel experience. But he also stands strong for the human touch that he says technology can never replace. Rahul is a strong proponent of entrepreneurship and to foster the startup culture along with partners has started Prestellar Ventures which is an early-stage VC fund that seeks to partner with passionate entrepreneurs and disruptive startups. “The birth of this idea emerged when my father was travelling in San Francisco which is the haven for venture capital and technology. He was amazed by the idea of start-ups and how this will become a disruption in every facet of our lives making some businesses virtually non-existent. He immediately called me and said I want to create something like this for all the budding Nepali entrepreneurs globally. He immediately tweeted about this idea and we were overwhelmed by the response. Hence Prestellar came into being,” he shares. After three successful investments, two in Singapore and one in India, they are currently reviewing several ideas driven by Nepalese. “Besides, the startup ecosystem, we are also focusing on a social impact ecosystem. At the end of the day, if we cannot do it in Nepal then where else can we be doing it,” says Rahul with a touch of feeling. Aspiring to be a billionaire hotelier, Rahul’s target is to reach a portfolio of 200 hotels across the globe within three years. Currently, CG Hospitality portfolio comprises over 127 hotels and resorts in 11 countries and 90 destinations with over 6,414 keys. This is just the beginning for a man waiting to strike deals as opportunities arise. 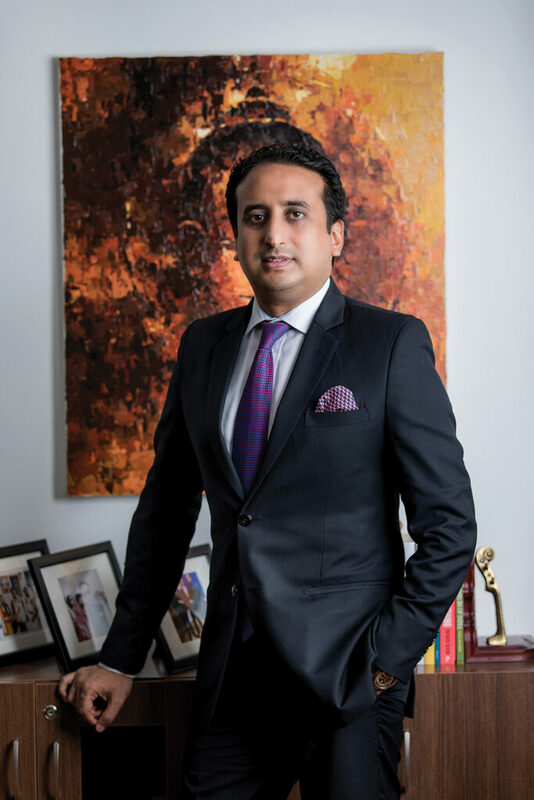 Rahul Chaudhary has inherited the fierce business acumen of his father and knows how to stay on top of his game.